PGBS is remarkably fortified to shore up businesses from diverse business verticals in managing and assisting their French customers by providing highly value-adding French call center services. Our French customer support team is equipped with brilliantly trained and expert professionals who are proficient in speaking and writing French to even native speakers of the language. Our professional call center support can make it easier for clients to successfully support their French-speaking customers round-the-clock. As France is one of the top economies of the world and is the second-largest economy in Europe, it hosts numerous businesses and companies. The economy is a superbly encouraging one supporting the growth of numerous businesses and this very dynamic nature of the economy makes it really important for businesses to offer outstanding customer service to their customers. Most of the businesses in France carry out their businesses in their national language French, as it is the language spoken by most people in France. This has given rise to several customer support operators who can offer customer service in their national language. However, in order to get the best and most effective customer support services, a service provider must comprehend the culture of the country and the way businesses are carried out in the country. Though there are many call center outsourcing companies that offer customer service in French, they still lack professionalism and comprehensive service deliverance as they still feel the language and culture barriers. However, PGBS is well fortified with some of the superlative call center services in the industry for businesses that look to hire the support of an efficient and established multilingual customer support services. With the help of our multilingual contact centers, the clients can expand their businesses and exceedingly improve their return on investments. If you are still contemplating on the prospects of associating with us and our service plans, the following reasons will give everything you need to know about us and our service deliverance. Native French speakers in India: PGBS is strategically well positioned to take advantage of the French call center services offered in India. We can do that effectively not only because call center services are lucrative but also because the Indian contact center agents are culturally adapt to support the customers from France with their professionalism, amicable nature, neutral accent and the negligible rate of turn-over. Availability of bilingual French call center services: PGBS is well equipped to offer a wide range of Spanish and French bilingual; English and French bilingual; and Russian and French bilingual services as required by our business partner. Through the call center services that we deliver, you can have us carry out your business requirements with the bilingual services wherever bilingual skills are required. There is no doubt that PGBS will effectively translate and represent the unique ethnic value and emotion of your brand at all times. Flexible schedule of operations: As per the needs of the clients when it comes to call center services, we are flexible enough to offer service in 24×7, 12×7, 8×5, and after-hours formats. Multiple channels of contact: If you are searching to get the best customer support with multiple contact channels such as phone, e-mail, live chat, and social media, PGBS has all the right infrastructural capabilities to help you at all times. We have multiple service sites: As PGBS has multiple sites in different regions, you need not worry about the scalability of the service deliverance in case of an emergency and disaster recovery options. Over the years, PGBS has provided call center support to numerous industries and diverse industry quarters driving exceptional business values and growth prospects for our clients. In our experience, we have supported government departments, large, medium and small businesses and several Fortune 500 organizations that operate in such expansive and demanding industries as information technology, telecom, real estate, energy, visa and immigration, big data, insurance, eCommerce, consumer electronics, food, luxury, health product, airlines, travel, hotel, ticketing, fashion and education etc. along with many others. The international approach: In order to offer the best customer support services to our clients in the call center industry, we provide adequate training to our agents to help them understand the cultural and local consumer behaviors of various French-speaking customers from around the world in the US, UK, Australia, Canada, and Singapore along with many other countries. Flexibility to choose dedicated or shared agents: As you require, depending upon your service niche and scope of your business, you can select dedicated agents—who work for only one client, or shared agents—who work for many clients. Dedicated QA team and account management: In order to always meet our commitment of call center quality assurance, we have a dedicated QA team working hard carrying out effective call center monitoring to ensure that all the project deliverables of the clients are constantly met and adhered to. No project is too big or too small: Irrespective of the size and scope of the business and project, PGBS is capable of offering exemplary levels of call center processes and services to all our clients. Exceedingly scalable: Being a client-centric business, all our services are exceptionally scalable as per the needs of the clients from time to time. If you are looking for an experienced call center outsourcing company to get the most effective and top-notch customer support in French language, we are the right people you must hire. Call our client service desk, now. 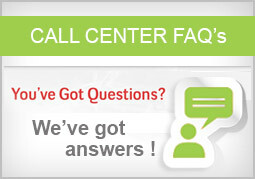 Professional Answering Services for Hospitals: How it is important?